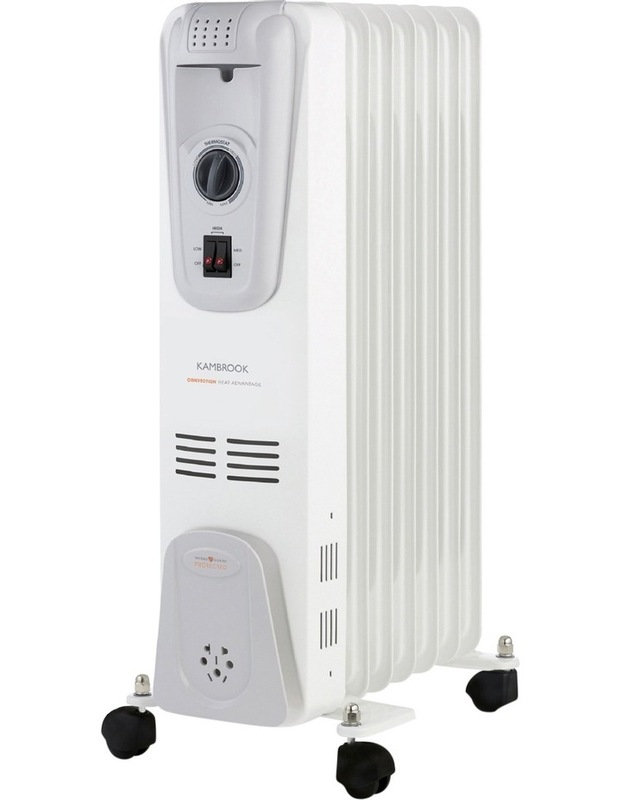 Kambrook 7 Fin Oil Column Heater: White. Combining convection and radiant heat, oil heaters provide safe and efficient alternative for heating, and are especially useful for heating larger spaces. 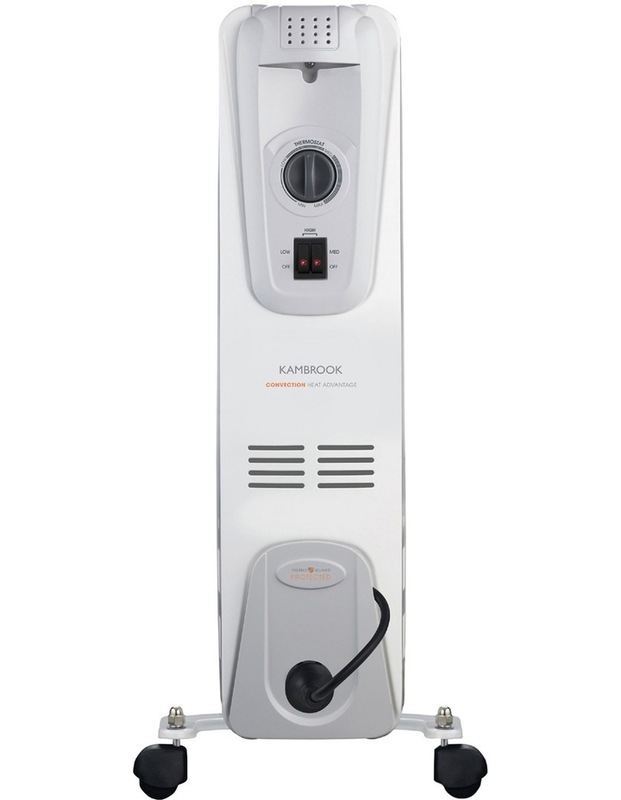 The kambrook 7 fin oil column heater features 1500 watt power, 3 heat settings, varible temperature control, wheels for easy movement, carry handle, safety tip-over switch, over-heat protection, 12 month warranty, on/off indicator light and a cord wrap for easy cord storage.